A must have accessory styled with an attractive twist. Perfect for everyday elegance, these 9ct gold creole earrings are crafted with sophisticated diamond cut detailing. 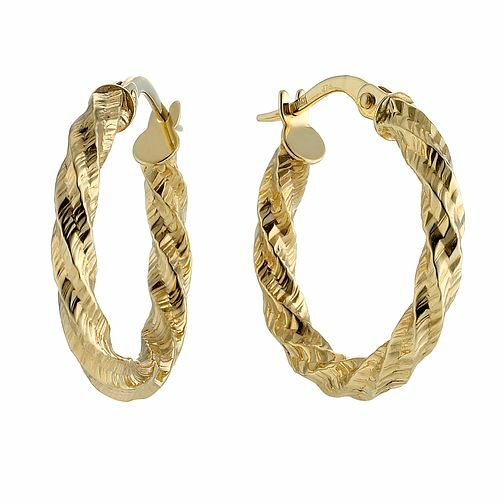 9ct Gold Diamond Cut Round Twist Creole Earrings is rated 3.0 out of 5 by 1.